Get into the amazing world of Trashes with COBI Trash Pack construction blocksets! 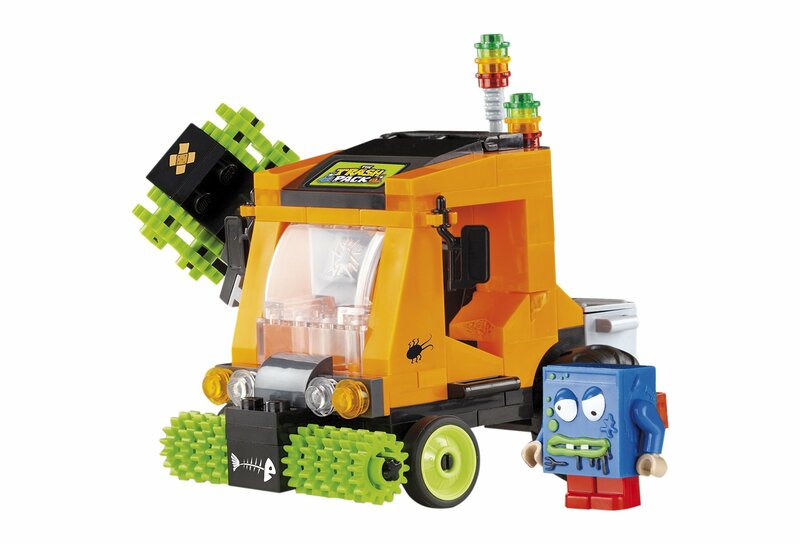 Build the Crazy Street Sweeper from specially designed, colorful,tattered-like blocks! The set includes 133 pieces and 1 figure. The finishedmodel is equipped with movable brushes for sweeping streets as well as a sidebrush for cleaning some walls. This item is a great addition to the extendedTrash Pack collection.